Imagine if your new patients used words such as “embarrassed,” “disappointed,” “preachy,” “annoying” or “confused” to describe their first visit experience. You’d want to know about it so you could fix it, right? 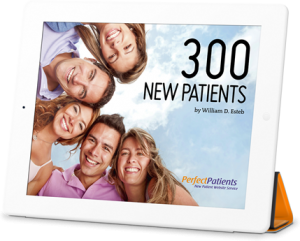 Over 300 brutally honest reviews from actual new patients are contained in our new eBook. If you haven’t yet, download your complimentary copy. Their uncensored comments were gleaned from over 7,000 new patient surveys completed by new patients of Perfect Patients website clients. New patients were encouraged to write a short review. Thankfully, the majority of reviews were overwhelmingly positive! You’ll get dozens of ideas (and reminders) about how to improve a new patient’s experience and stimulate referrals.